The regular season for Queens Night Market might be over, but don’t worry: there’s still plenty of shopping to do. The Night Market normally runs on Saturday nights during the spring, summer, and early fall in the New York Hall of Science in Flushing Meadows. It offers all kinds of goods from local and international artists, craftspeople, and makers. This holiday season, they’re hosting a market in Sunnyside — which is way closer to Astoria! The Night Market has partnered with the Sunnyside Shines Business Improvement District to offer an outdoor holiday market every Saturday and Sunday from November 24 to December 16. It will be held in Bliss Plaza, at 46th Street and Queens Boulevard in Sunnyside from noon to 6pm. 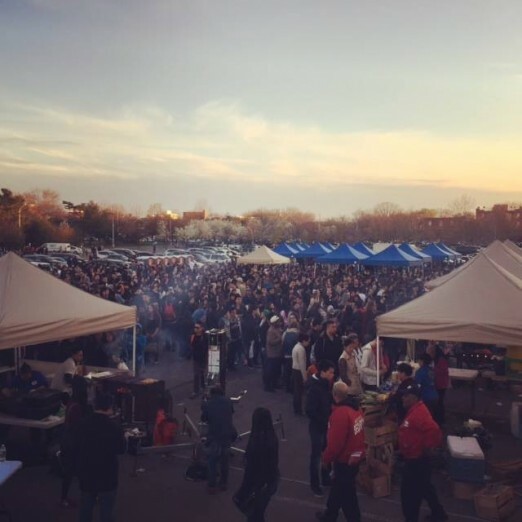 Sunnyside Shines hosts monthly markets in Bliss Plaza, and will be teaming with the Queens International Night Market this holiday season. The market will feature artisanal gifts from over 30 rotating vendors. You’ll be able to find Mexican handicrafts and silver items, Queens-themed clothing, geeky accessories, handcrafted bath products, and so much more. Check out the full list of confirmed vendors on the Sunnyside Shines site. There will also be food vendors selling treats from all over the globe, like Burmese palatas and Romanian-Hungarian chimney cakes. 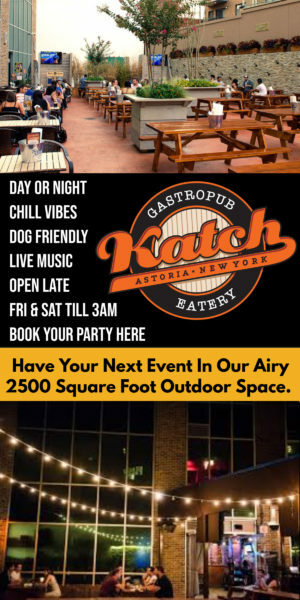 Though outdoors, the market will have patio heaters so both shoppers and vendors will be comfortable. In addition to what you can buy in the market, Sunnyside Shines will be providing coupon booklets for local Sunnyside businesses. There will be a free trolley bus available on November 24 and December 8 to help out-of-neighborhood folks get around, stopping in particular at Big Six Towers in Woodside. 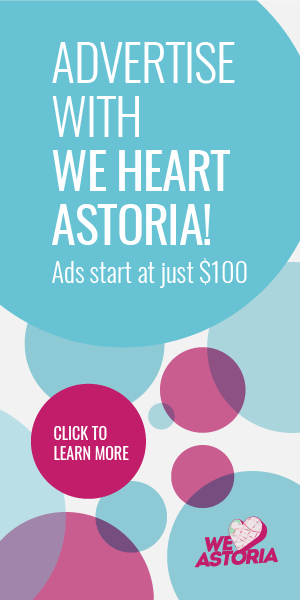 We (obviously) heart Astoria, but this market is definitely worth checking out if you have holiday shopping to do!